Manannán is a god found in both Irish and Scottish traditions (and, of course, Manx), and is quite a popular deity in modern polytheism where he is seen as an Otherworldly king and gatekeeper, a god of the sea and watery places, a god who tests and can challenge. For many Gaelic Polytheists he is the god most naturally associated with Midsummer celebrations, with feasts and rites being held in his honour. Áine also has a claim to the day, and traditionally has her stronghold at Cnoc Áine in County Limerick, where funerary rites were held in her honour on Midsummer’s Eve. According to a portion of Acallamh na Seanórach, Áine was married to Manannán after her brother fell in love with Manannán’s wife, and Manannán fell in love with (or was seduced by) Áine, prompting a swap.1 In spite of their close relationship and the fact that they were both honoured in certain parts of the Gaelic world on the same day, there appear to be no suggestions that they were honoured together, as a pair. It’s certainly an apt coincidence that they both happen to be honoured on the same day, however. For the most part, Manannán or Áine are honoured on this day by Gaelic Polytheists who feel it is appropriate to do so – those of us who might have a relationship with them, or are developing one, perhaps. You don’t have to honour either of them on this day, that’s up to you. You could, if you wish, make some simple offerings to An Trì Naomh in general, and perhaps give a prayer to the Sun as you make your own observances. The suggestions below aren’t one-size-fits-all; you may not have in interest in collecting herbs, unless you’re a herbalist, for example, or else lighting a bonfire may present problems for you. In this day an age, you have to adapt to your circumstances. Bring in some birch and place above the doors for protective purposes. 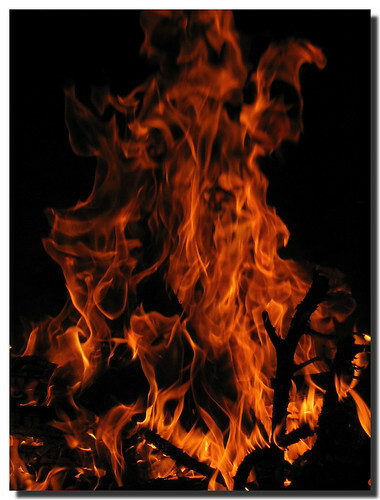 If possible, light a bonfire (with blessings being said) at sunset, as the focal point for your celebrations, tending to it until sunrise begins. Prepare a feast, making sure you have enough for offerings, too – bannocks, ‘gudebread’, lamb, fish (especially if you live near the sea), or a good quality bread soaked in spiced and sweetened milk are all traditional dishes. Sain the boundaries with a flaming torch, paying attention to anything you’re growing for harvesting later. A visit to the beach or hillside is especially appropriate on this day, where offerings and prayers of thanks to Manannán and/or Áine should be made. 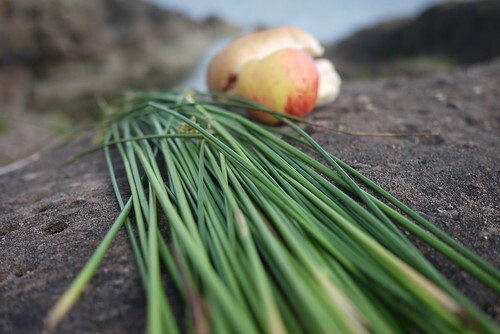 For Manannán, rushes are traditional (for ‘paying the rents’ to him), while meadow-sweet may be appreciated by Áine.2 Other offerings can be made, including seasonal fruit like berries, or baked goods containing them. Dances, games, general fun and festivities in Manannán’s and/or Áine’s honour. Around midnight, collect herbs for use throughout the year – St John’s Wort, fern seeds, mugwort, yarrow, and elderberries are all particularly appropriate. 1 MacQuarrie, The Waves of Manannán, 1997, p224-227. See also: MacKilliop, A Dictionary of Celtic Mythology, 2004, p10. 2 “The meadow-sweet, or queen-of-the-meadow, is thought to be Áine’s plant, and to owe to her its fragrant odour.” David Fitzgerald, ‘Popular Tales of Ireland,‘ in Revue Celtique Volume IV, 1880, p186-190.